Between a crazy schedule in the states, travel, jet lag and walking back into work after more than a week away blogging has been far down the list of priorities. 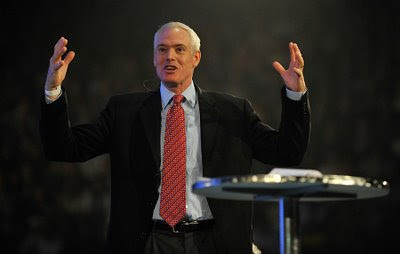 One of the things I took away from the Catalyst Conference, amongst many, was a statement by Jim Collins. He said many of us suffer from the "Indigestion of Opportunity". This statement found a home in my heart. In church leadership life there certainly is a host of opportunity. There are many causes, projects, ideas, values, practices and visions that shout for our time. The biggest problem with all these are virtually non of them are bad, most of them are noble and good, but they cannot all be great for us. We can end up chasing so many causes that we end up spreading ourselves to thin, loose our disciple and end up doing nothing great. Being clear on what our core mission is and having the disciple to stick to it like glue continually building momentum is vital to build something great. I need to learn to say yes to what builds momentum and no to things that diverts my discipline. Hard for me because for a habitual people pleaser like me it means I will have to say no but what is more important?